This exercise for the relief of minor pain is based on following the beats of your heart, so sit or lie down in a relaxed position. Feel your pulse and begin by counting the beats aloud, until you get a sense of the rhythm. Inhale through your nose to the count of 6, hold it to the count of 3, exhale to the count of 6, pause for 3 counts; then repeat the process. While inhaling, visualize energy being sent to the painful area to repair damaged cells and reestablish proper circulation. When exhaling, imagine the pain exiting the body. Repeat this cycle 7 times; then rest. Repeat the process two more times in sets of 7. To provide variety to the exercise, breathe in the color orange during the procedure above (or whatever other color your inner self deems more suitable). 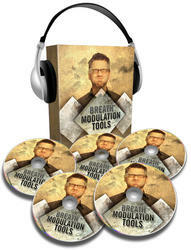 This breathing technique not only eliminates pain, but also many negative emotional feelings as well. Also, since laughter releases pain-relieving endorphins into your system, artificially laugh occasionally to assist the process of pain relief.